NATIONAL POLICE officers in Sain have successfully smashed a criminal gang based in the Costa del Sol and have arrested eleven, including two British women. The crime gang’s operation used boats for the distribution of hashish to points dotted along the Costa del Sol and wider Spain. 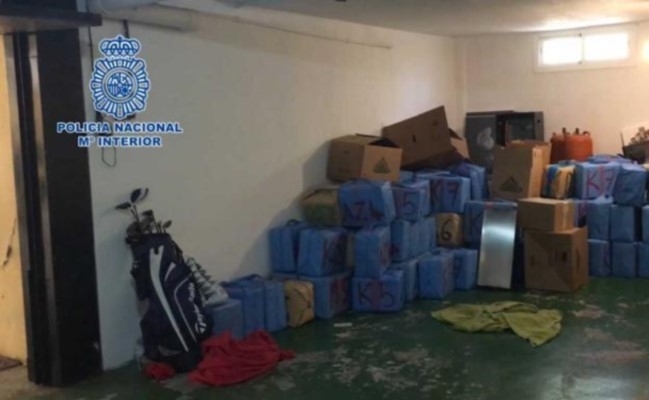 In this large-scale drug trafficking police operation to eleven people including nine men of Morrocan and Spanish nationalities and two British women were arrested for their involvement. Agents discovered almost seven tons of hashish, one kilo of cocaine, 5.4 grams of MDMA, €222,720 and £995 in cash. National Police said that the drug gang had been under surveillance since March. Previous articleIN PICS AND VIDEO: The rain in Spain doesn’t go down the drains!